Kingfishers, todies, hoopoes, and relatives (also called coraci-iforms) include some interesting bird families with many of the most beautiful species in the world. The eight families in the order Coraciiformes include: kingfishers (Alcedinidae), todies (To-didae), motmots (Momotidae), bee-eaters (Meropidae), rollers (Coraciidae), hoopoes (Upupidae), woodhoopoes (Phoeniculi-dae), and hornbills (Bucerotidae). Appearance between adult males and females are similar in most species, except for most hornbills and some kingfishers. The bird families are very distinct from each other, and at first glance would not appear to be related except that they have a common foot structure. All members of the order look like each other with regards to their syn-dactylous (sin-DACK-tuh-lus) toes. That is, all birds have two, and sometimes three, forward pointing toes on their feet that are joined together partially at the base. The middle toe is connected to the inner toe at its base and to the outer toe for most of its length. The fused-together toes are most notable among bee-eaters and kingfishers. Generally, all species are small- to medium-sized birds with short legs, rather small and weak feet, and short toes. Coraci-iforms are 4 to 31 inches (10 to 79 centimeters) long, and weigh between 0.2 ounces and 8 pounds (6 grams and 4 kilograms). One of the smallest birds is the Puerto Rican tody, which has a length of 4 inches (10 centimeters) and a weight of about 0.2 ounces (6 grams). Two of the largest species are the Southern ground-hornbill and Abyssinian ground-hornbill. 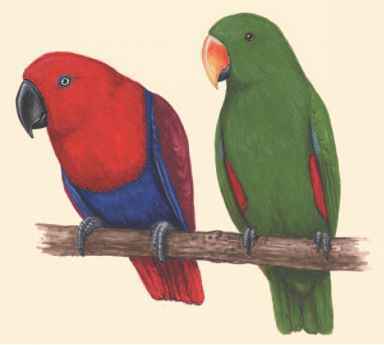 Both birds phylum class subclass • order monotypic order suborder family are about 31 inches (79 centimeters) in length and about 7 pounds (3 kilograms) in weight. Coraciiforms are also recognized as having large heads, short necks, and somewhat large bills. Most have bills that are long, pointed, and colorful. Bills are enormous in the hornbills, often resembling New World toucans (tropical birds with a large beak). Most species have long tails and tall crests, with bright, colorful plumage (feathers). Coraciiforms share other, less noticeable characteristics, including the structure of the palate bones (the bones on the roof of the mouth), lack of the ambiens muscle in the leg (the muscles that control the movement of toes), and the feather tracts (the spacing of feathers in a pattern).